The dome trim design has been clinically proven to reduce plaque below the gumline. Micro-feathering of inside bristle rows increases bristle tips by 70% and is designed for soft, gentle cleaning over a broader surface. 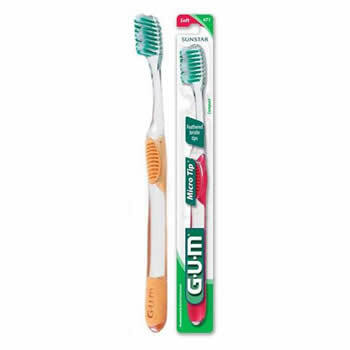 The interdental-cut bristle trim aligns with the tooth profile to clean hard to reach places. 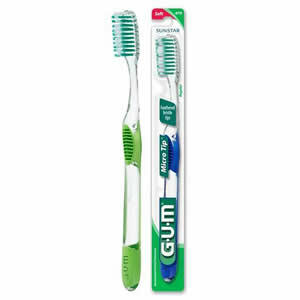 Tapered, round-ended textured bristles narrow at the tip to reach deeper below the gum and between the teeth. Textured bristles to pick up the plaque with the whole bristle, just not the tip.